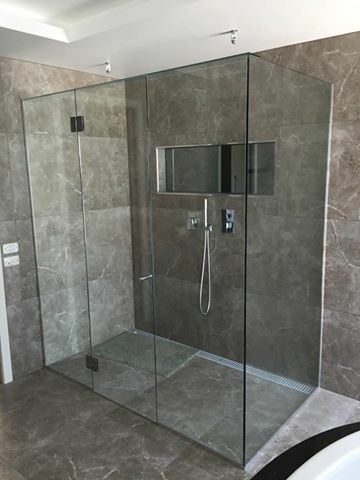 Marz Glass & Screens can custom make your shower screen in a variety heights, widths & configurations and complete installation. We offer a range of fully famed, semi frameless and frameless options, with pivot doors, sliding doors and fixed panels. A variety of different coloured frames are available, the options will depend on your choice of shower screen style. Visit our showroom at 158 Argyle Street, Traralgon to see what options are available.